Brie Larson’s portrayal of Carol Danvers makes you feel each and every emotion she puts forth. From the numerous action spectacle scenes where she is battling cosmic enemies all the way to the intimate moments that show greater character depth an dimension, The Academy Award-winning actress pulls the movie to greater heights. The movie begins with Vers or Carol Danvers struggling with a lack of identity, memory and somewhat, one void of independent thought outside of what her superiors tell her. She is a member of the Starforce – a team of super-powered individuals brought together by the Kree Super Intelligence. She finds herself involved within an intergalactic battle between the Kree Empire and the galactic terrorists known as the Skrull. Through enlisting the help of a youthful Nick Fury (Samuel L Jackson), she finds refuge on earth where she is able to piece together the secrets of her past while also, finding new found powers to end the conflict once and for all. The movie’s first act is surrounded in mystery and her origin story is one that breaks away from the norm of simply discovering new powers. It’s about the discovery of who she is as a person. A human. You will see Danvers go from a lost individual who really had no purpose other than to serve the Kree Empire all the way to fighting for the people who need her the most; her friends and family. Co-Directors Anna Boden and Ryan Fleck also did a stellar job with the buddy-cop dynamic – that is evidently playing off of Brie Larson’s stoic yet witty performance – as Danvers and Samuel L. Jackson’s fantastic portrayal of the youthful badass that is Nick Fury. This in turn with the digitally de-ageing that they put both the latter character and Agent Colson (Clark Gregg) through really pays off. As the film progresses another fantastic female character reunites with Marvel and that is her old friend and fellow pilot Maria Rambeau (Lashana Lynch) and this is where the film finds its soul. This female relationship that is portrayed gives Carol Danvers the ability to reconnect with her past and get in touch with her humanity once more. Lashana Lynch as Maria is the one that pushes Danvers forward when she is most in need – she is the shoulder this superheroine cries on and, she is the one who ultimately gets her to truly know who she is. With all this in mind, you could look at how this movie within the Marvel cinematic universe is just another origin story, the pacing can be rough, the plot can be convoluted (especially with the flashback scenes) and, the retro 90s nostalgia a little too bland in comparison to other successful hits such as Thor Ragnarok or Guardians of the Galaxy. But, the route they went with developing a script that focuses more on the finding of who Carol is and not just an abundance of constant rousing action sequences is refreshing in a Marvel movie. If anything, the film itself is burdened with being the origin story for the entirety of the MCU – serving as a prequel to both Guardians of the Galaxy and the Avengers movies. It often forgets that the appeal of this movie is in its character study of Carol Danvers as she finds herself amongst the chaos, rather than the photon blasting she exudes in many of the scenes. Despite this, the movie is a great addition to the universe that Marvel Studios have created. 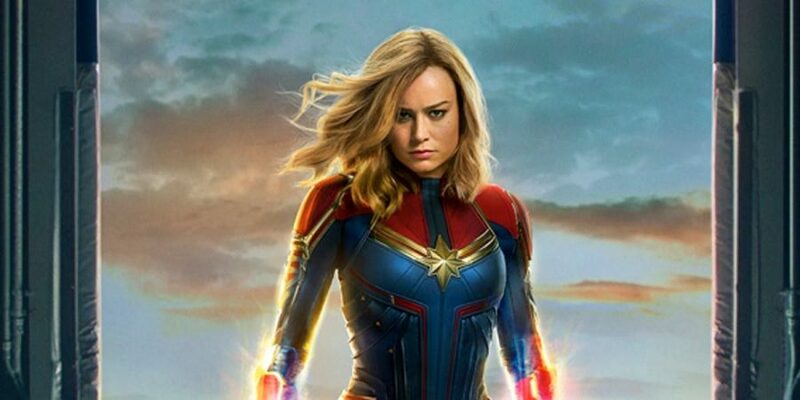 You will see this well-written superheroine again in Avengers: Endgame, opening April 26.